Pride, prejudice – and murder? 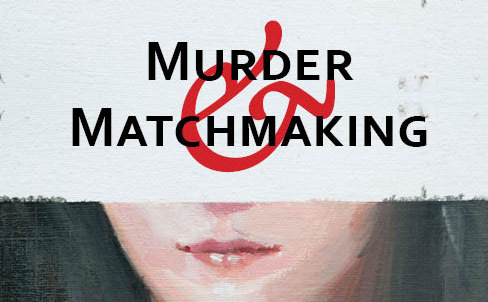 Murder & Matchmaking is a darkly comic mash-up of two classics: Jane Austen’sPride and Prejudice and Arthur Conan-Doyle’s The Adventures of Sherlock Holmes. The young ladies of Meryton are dropping like flies – can Lizzie Bennett solve the mystery in time? And who is this fancy London detective who has suddenly appeared on the scene? Debbie Cowens is a Kapiti-based writer and English teacher. She co-authored the award-winning Mansfield with Monsters with her husband and her stories have been published in both New Zealand and international publications and anthologies. Murder & Matchmaking is her first novel and it weaves together many of her favourite things: Jane Austen heroines, a Sherlock Holmes-inspired detective, mischievous canines and intrigues. She is a little surprised that more chocolate didn’t sneak its way into the narrative. We are launching Debbie’s book in April, and to raise funds for a New Zealand print run (to get as many copies of the book into local shops as possible), we’re running a PledgeMe campaign to raise $1000 towards print costs. You can pledge to the campaign to pre-order your paperback or ebook copy of the book – or even have a character in the book named after you!